ESports has been growing at an extremely high pace for the last few years, and the world of competitive gaming seems to continue picking up steam. Through new supporters world-wide, “big league” advertisers (such as American Express and Coke Zero), and an unfathomable amount of fanatical viewers, eSports seems to be here to stay. With the growth comes new teams, new organizations, and new jobs ripe for the taking. So, how does someone land a job among the gaming elite if they do not possess the skills to sit behind the keyboard? Well, there are several routes, but if we’re going to be completely honest, none of them are easy. To help you out we have compiled a short list of ideas to get you started. Over the next several days, TieAttack.net will be exploring several viable options for getting your foot in the door when it comes to the highly competitive field. Keep in mind many of the positions in eSports are coveted by millions across the world. Getting to the spot where you are paying the bills solely off of your contributions to the gaming community is often a long struggle with many years of volunteering your time, pro bono. Stick with it though, the scene continues to grow and as the sports mature there will be more positions available. Speak Your Mind: You probably watch competitive gaming and narrate in your head the mistakes that you see, why not commit that to video? The first suggestion I would have if you are interested in a casting job, start a YouTube channel! Signing up and uploading videos is completely free. Finding cheap/free editing tools is simple. Locating replays for most eSports (SC2, LoL, DotA2) is quite simple too. Watch the games and speak your mind as though you were casting for a full house. Taking this approach gives you 3 major advantages: Exposure, immediate feedback, and practice. Exposure is vital when finding a job in eSports because of the sheer amount of people who are fighting for the same dream job you want. If organizations don’t know who you are, your chances of getting hired are slim to none. Getting your face out there (and more importantly, your voice) will make you familiar to die-hard followers of the game, and having a little extra support from the community could be what makes you rise to the top. The YouTube community (although sometimes harsh) allows you to receive constructive criticism quickly. By sifting through the comments left on your videos you can pick out areas where you need improvement and also figure out what areas you excel in. Knowing your strengths will be helpful as you try to market yourself to potential employers. Practice makes perfect, right? Broadcasting of any type is difficult when you first start, but as you take the time to improve and devote effort to commentating you will feel more comfortable. Your confidence (or lack thereof) will show when you cast a game, so step up to the mic and get rollin’. Seems like it might be a lot of work? That would be because it is. 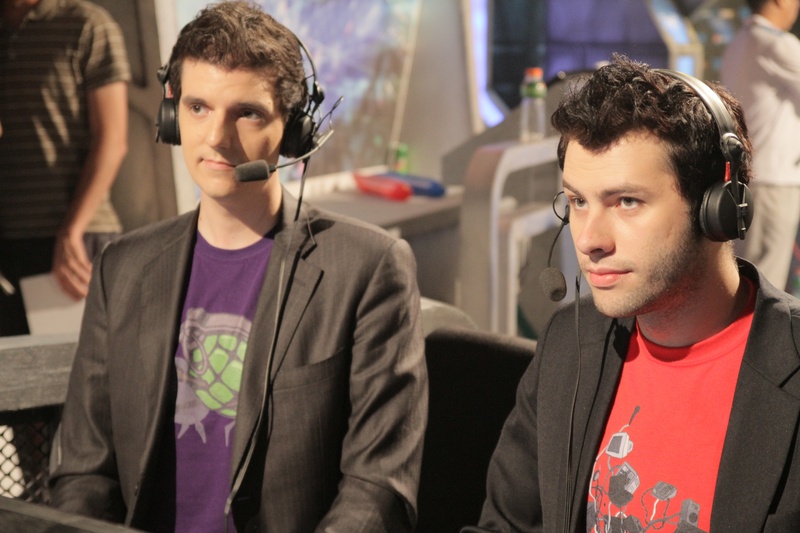 Just ask one of the many casters who got their current job by cranking out video after video of witty one-way banter and cheesy one liners to go with the cheese strats (Husky…Day, I’m lookin’ at you two).